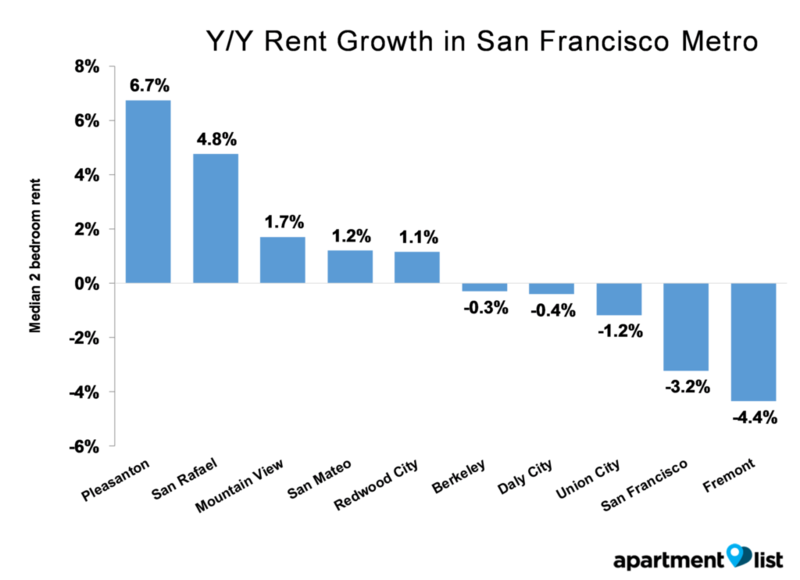 San Francisco rents were 3.2 percent higher in September than they were last year but decreased 0.1 percent monthly. 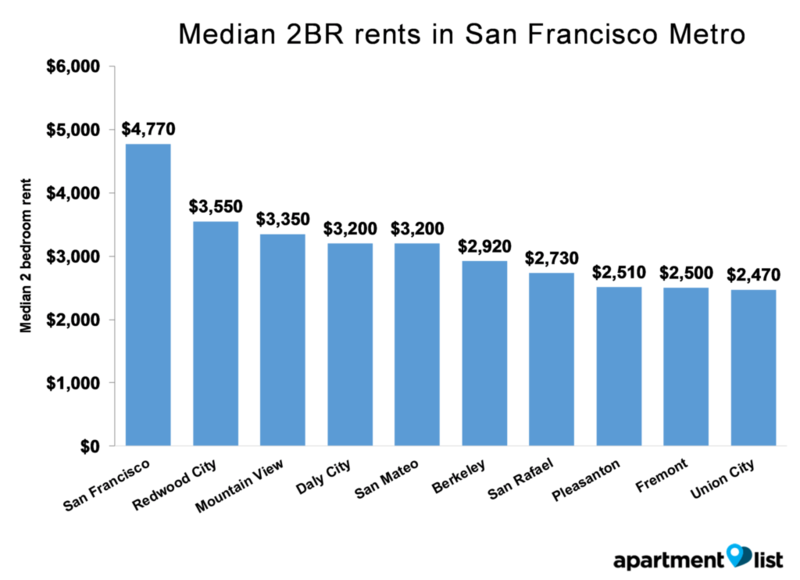 Unsurprisingly, San Francisco's median rent was highest in the metro. Right behind was Redwood City. Pleasanton had the fastest-growing rents in the metro last month. Apartment List released its latest rent report for San Francisco, finding rents here decreased by 0.1 percent over the past month. 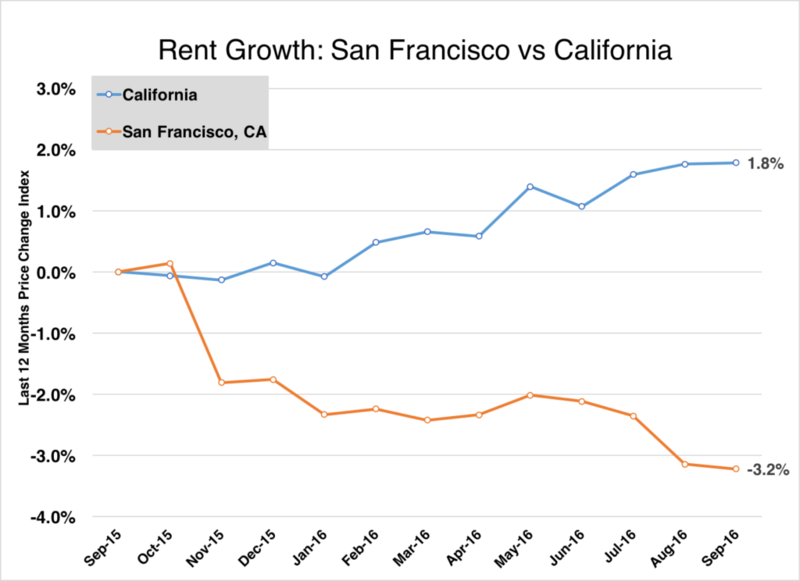 San Francisco rents were 3.2 percent higher in September than they were last year but decreased 0.1 percent monthly. Median rent prices here were $4,770 for a two-bedroom and $3,500 for a one-bedroom last month. Unsurprisingly, San Francisco took the cake for most expensive rents in the metro. Right behind was Redwood City, with median rents at $3,550 for a two-bedroom and $2,920 for a one-bedroom. 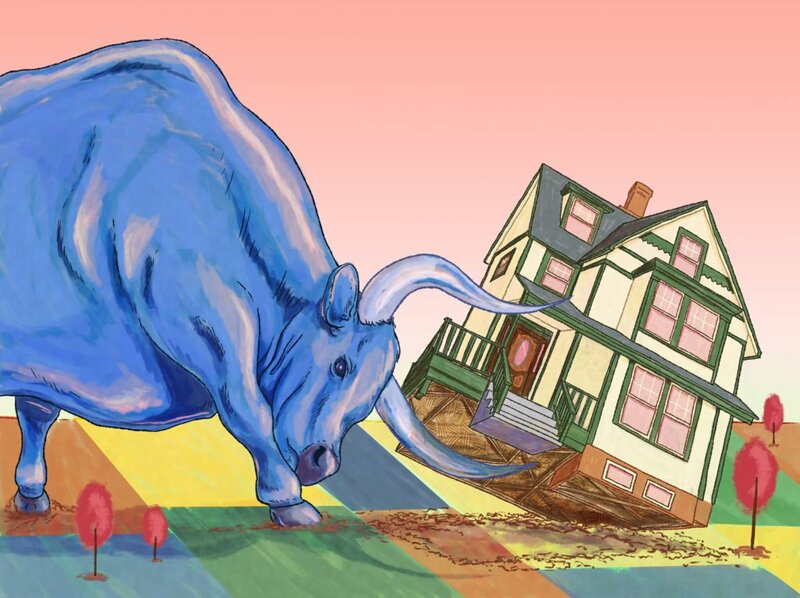 Berkeley was sixth most expensive, with two-bedroom rents at $2,920. With rents 6.7 percent higher than last year, Pleasanton was the city with the fastest-growing rents in the metro last month. Median rent prices here were at $2,510 for a two-bedroom and $2,220 for a one-bedroom. For methodology and data for other cities in the San Francisco metro, see Apartment List’s full report.